Grandma Hanging Plaque is rated 4.0 out of 5 by 1. 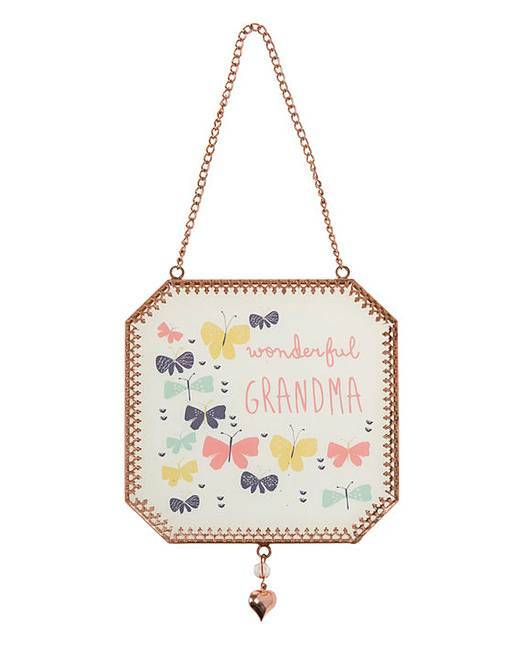 Glass hanging Grandma plaque with the message "wonderful grandma"
Rated 4 out of 5 by Jeanette from Lovely plaque My son ordered this as a gift for his grandma as she has been I'll. She loved it. Very pretty!